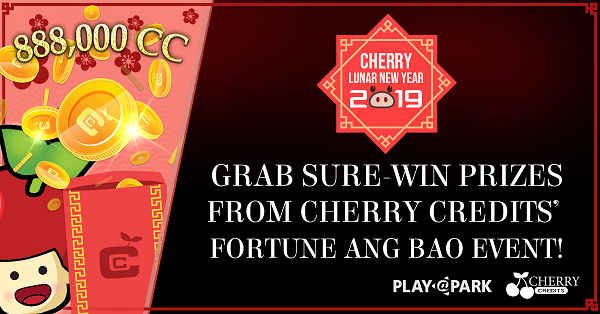 Get a free daily spin (resets at 0000hr hours) and stand a chance to win amazing prizes like instant Cherry Credits, top-up vouchers and even physical goods! Additionally, for every 5,000 CC purchased in a single receipt, players will receive an extra spin. Play big, win big! Cilck here to find out more information!